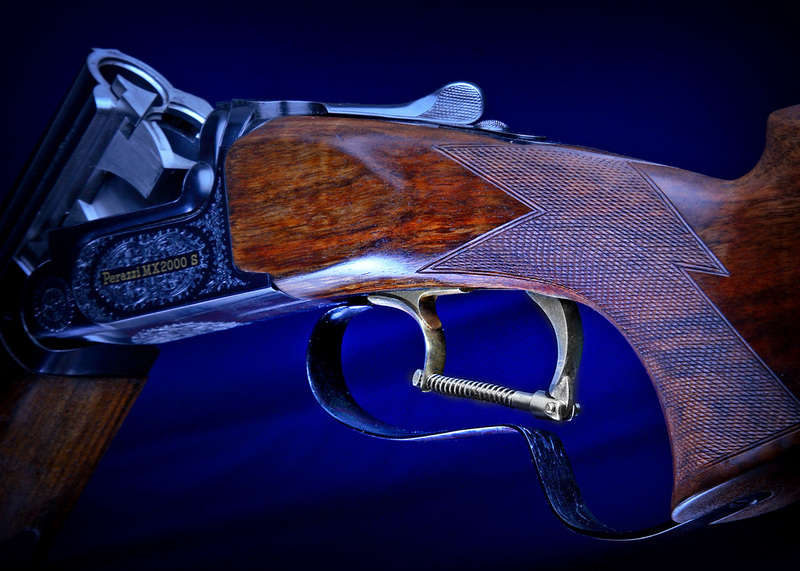 Custom Trigger conversion on a Perazzi MX2000. 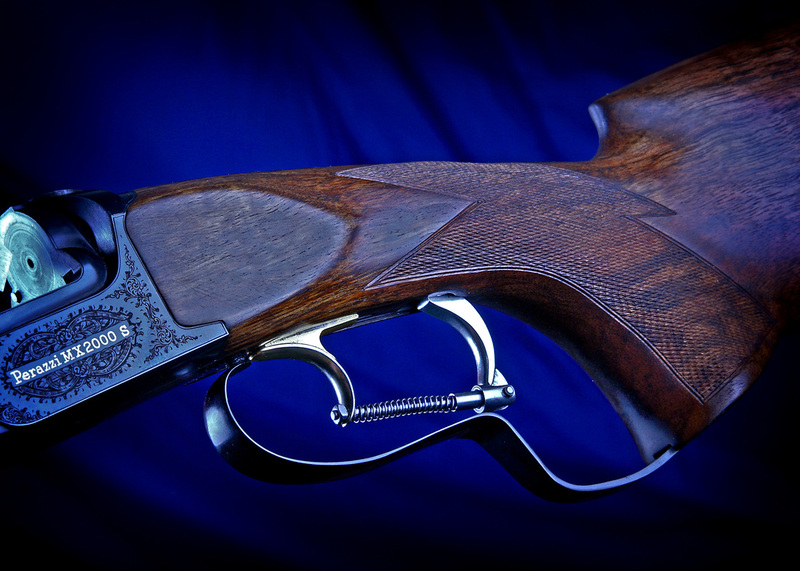 The image below shows a very special articulated trigger conversion, read on to see why. So why would somebody need a trigger like this, with a customized grip and bespoke trigger guard? Well, if you loose the ends off most of the fingers on one hand including the trigger finger, then some special work is going to be required to the gun. We do a lot of bespoke alterations. One of the more unusual was for a customer who had suffered an accident to his right hand, which resulted in the loss of most of his trigger finger and a large proportion of the other three fingers on the same hand. This was quite understandably making it very difficult for him to continue to shoot, and he was on the verge of giving up a sport which gave him great pleasure. Thankfully he came to us to see if we could do anything for him. Initially we looked at the possibility of altering the grip to allow the trigger to be reached with the remaining stub of the trigger finger. However, it quickly became apparent that this was not going to work, and another idea would be required. If we couldn't move the grip far enough forward, perhaps we could move the trigger back. With only half a trigger finger the trigger was going to have to move back a long way. Just altering the trigger blade was not going to work as the resultant leverage would have created a very long imprecise trigger travel, which would not be conducive to good shooting. We decided that an articulated trigger was the way to go as this would allow the trigger to be moved back far enough for the remaining stub of the trigger finger to operate the trigger most comfortably. To minimise alterations to the existing mechanism and because there was insufficient room internally we decided to make all the alterations external. A new trigger blade was made and fitted into the recess previously used by the tail of the original trigger guard. A spring loaded link was made to connect the new trigger blade to the original trigger, which allowed the new trigger blade to swing forward and away from the second finger stump under recoil to prevent bruising this finger. A new trigger guard was made to go around the outside of the remaining finger stubs, thus enclosing the hand, both trigger blades and the linking mechanism. The grip was altered to allow the remaining injured fingers to hold and control the gun properly. Did it work? Oh yes, it worked like a dream. In fact our customer contacted us after shooting the gun for the first time and I think his words more than adequately describe how successful this work was. "It's just like having my fingers back." I think I'll call that a good job then.